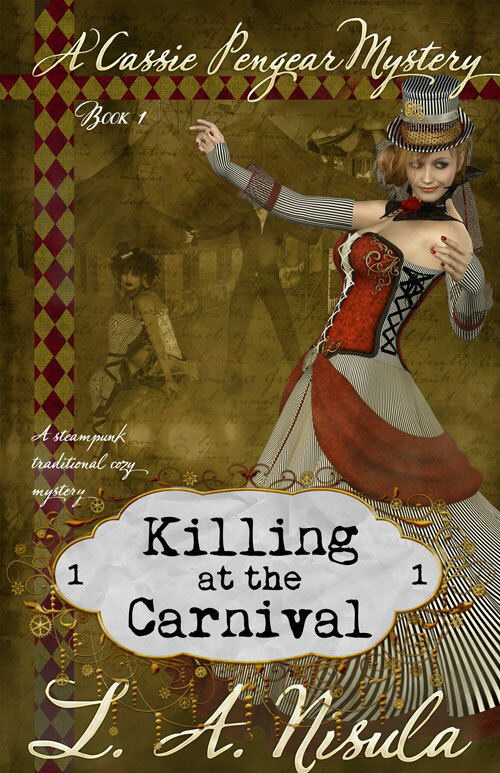 The first Cassie Pengear mystery, Killing at the Carnival, is now free most places (Amazon is still $.99 since I can’t directly set it free there, but hopefully they’ll price match it soon) I’m not sure if this will be a permanent thing or just until after the holidays; I’ll see how it goes. The links are all the same as on the book’s page. I’ll have another update soon, I just have to get a couple of things in order. 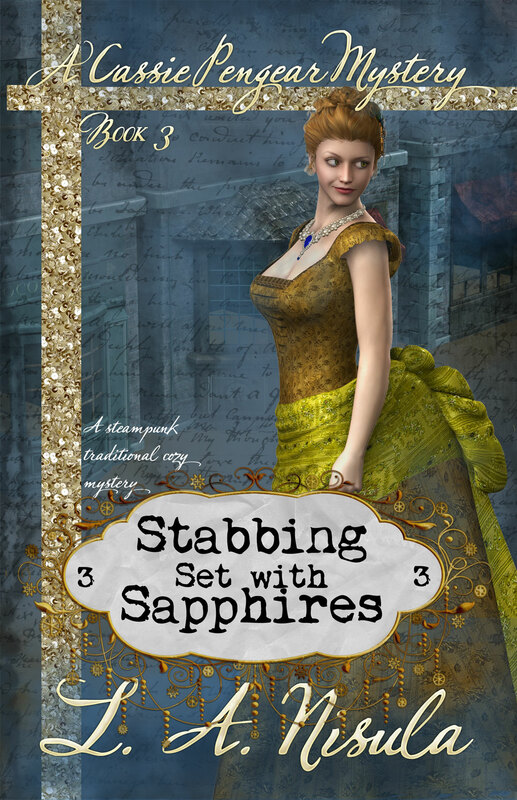 Stabbing Set with Sapphires: Cassie Pengear Mysteries book 3 is out today! I finally have all the links so here they are. 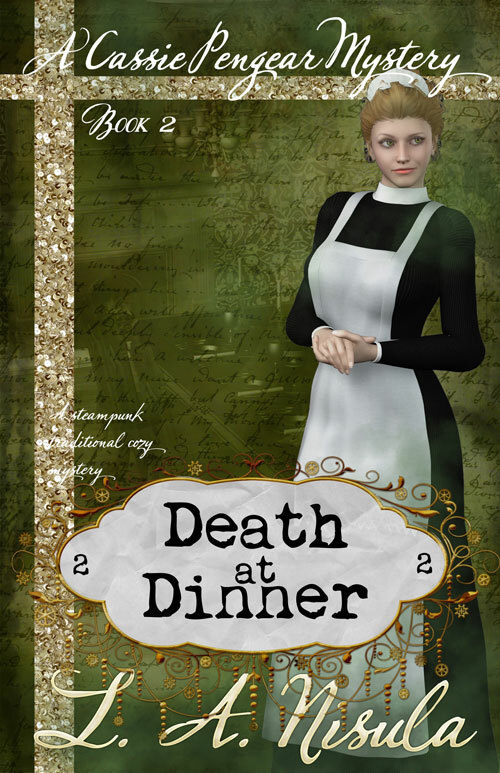 It will be on sale for $2.99 this week then go up to its normal price of $4.99. I’ve started putting up the pre-orders for Stabbing Set with Sapphires. It will be released May 12, 2015, and I’m doing a pre-order sale again. The regular price will be $4.99, same as book 2, but if you pre-order or buy during release week, it will be on sale for $2.99. Here are the links I have so far. I’m still waiting for the link to Kobo, and as far as I know BarnesandNoble.com won’t let me do a pre-order, but it will be for sale there. I’m getting Cassie Pengear book 3 ready for pre-orders. It’s called Stabbing Set with Sapphires. It will be released May 12, 2015. I’ll post again when I have links to pre-order from. Until then, here’s the short back cover text. Cassie Pengear thought a job typing up inventory lists at a jewelry store would be fun. Until there was a kidnapping. And then a robbery. And then a murder. The second Cassie Pengear book is slowly getting put up for pre-orders. It’s the first time I’ve done pre-orders, so it’s a bit of an experiment. The book is due to be released January 5, 2015. And to celebrate the release, there’s a special pre-order/release week price of $2.99. After that, it will go up to its regular price of $4.99. Here are the details. I realized I forgot to put the page count on the Amazon page, which I can’t fix right now. That’s something that drives me crazy when I don’t know how many pages a book is, so I’m very sorry about that. I forgot it on the Killing at the Carnival page too, but I think that’s all been fixed. I haven’t finished formatting the print version (having a long debate with myself about the merits of Garamond vs two different forms of Baskerville Old Face vs Bookman) so I didn’t have the page count handy at the time. I think that’s about it. Again I’ll edit this post as I get links to stores. Thanks for reading! If you came here from my other site, you know that I’m launching a new steampunk cozy mystery series Cassie Pengear Mysteries (if you didn’t come from there, I also write fantasy as Lisa Anne Nisula). The first book is slowly going live as an ebook. The print edition will be out next month. I will add buy links as they become live. The first is Smashwords, and as a thank you to people who’ve been waiting for new work from me, I’ve made a coupon code for Smashwords that will take the book from $.99 to free. It’s SF87U and will be good until the end of January.